Diabetes updates written by Professor Steve Bain Diabetologist and Dr. Mark Freeman Diabetologist. Since the first National Diabetes audit in 2004, the annual data collection has increased in size and breadth and has become one of the pillars of assessing the quality of care of patients with Diabetes in England and Wales, both in primary and secondary care. Over the years, it has grown to encompass a number of work streams including the inpatient, pregnancy, foot, insulin pump and transition from children to adult audits. It is designed to ensure that all patients diagnosed with diabetes are recorded on a register (sub divided into Type 1 and Type 2) and to measure the percentage of people receiving the nine NICE care processes, the percentage of people reaching NICE defined targets, the rate of acute and long term complications. Its purpose is to assess local practice against NICE guidance, identify shortfalls in practice that are priorities for improvement and compare an areas servicewith local peers. The data for the 2015/ 2016 audit allows analysis down to CCG and practice level, comparing results to the previous year’s iteration. Several facts have emerged from this year’s audit. Encouragingly, participation has increased to 82.4% from 57.3% in 2014/15. The progressive rise in patients offered structured education continues to increase despite inconsistent recording of attendance. There continues to be a large variation among CCGs and local health boards, specialist and GP services for T1 and T2 diabetes, a situation not explained by case mix and with patients aged <65 performing worst. A drop in BMI and urinary albumin/ creatinine ratio measurements from earlier audits have not recovered. Encouragingly people with learning difficulties have similar care processes and target results compared to people without learning difficulties. Clearly reducing the significant variability in care that exists should be the one of the main action points but other recommendations include attempts to improve the access to and recording of structured education attendance and in particular addressing the age related quality issues that have emerged. Allowing patients access to their practice results would also go some way in empowering them to address individual care issues. The financial problems facing the NHS have been well documented especially at a time of rising demand from an ageing population with multiple comorbidities including diabetes, the epidemiology of which is well known. The national diabetes and care programme, linked to the sustainability and transformation plans seeks to direct funding towards elements of diabetes care which will improve outcomes. Bids from CCGs or groups of CCGs are invited for funding to develop a number of work streams. Specifically, improving the uptake of structured education by the newly diagnosed. Uptake for this is only 5.7% and, given the evidence to support its effectiveness in promoting glycaemic control there is potential that cost savings will offset the increased availability. Improving the achievement of the NICE recommended targets for HbA1c, cholesterol and BP and driving down variation across different CCGs is another area to be funded. Clearly the impact of improving these parameters on long term complications has a powerful evidence base but the national diabetes audit does show a significant degree of variation across the country not just explained by differences between the populations. Reducing amputations by improving the timeliness of referrals from primary care to a multi-disciplinary foot team will also be funded. Given the significant morbidity and mortality associated with this implication, reducing frequency and severity of ulceration will reduce hospital admissions and the long term costs of amputations. Cost savings will significantly exceed the cost of putting multidisciplinary foot care teams in place. The fourth funding stream is to increase the provision of diabetes in patient specialist nurses. This revolves around the evidence for DSNs reducing the length of stay for in patients with diabetes, again the cost of putting them in place being exceeded by savings. As expected, the funding available does come with caveats including the link between bids and STPs and that it is available for 2017/18 and provisionally for 2018/19. There is also a complex framework to follow during the process. Whilst any extra funding for diabetes is welcome, there is the potential to fragment services further depending on the success of these bids. 2016 has seen the publication of two large type 2 diabetes (T2DM) cardiovascular safety outcome trials (CVOTs) which showed benefit of glucagon-like receptor-1 agonists (GLP-1RAs). The LEADER study compared once-daily liraglutide with placebo in over 9,000 patients treated for a median of 3.8 years and showed statistically significant superiority in the primary end-point of a composite of cardiovascular death, non-fatal myocardial infarction and non-fatal stroke. The SUSTAIN 6 study was a smaller (3,297 patients), shorter (104 weeks) pre-license analysis of once-weekly semaglutide versus placebo. Using the same primary end-point, it demonstrated superiority, albeit in an analysis which was not pre-specified; for this reason, a further much larger CVOT of injected semaglutide is anticipated. GLP-1RAs are currently administered by subcutaneous injection and, although this is a very simple procedure, it does act as a barrier to their early inclusion in therapy algorithms. Indeed, in the NICE T2DM guideline, published in December 2015, this class of anti-diabetes therapy is restricted to the pre-insulin segment and only after failure of triple oral therapy. However, there is rapid progress being reported in this field. In December 2016, vTv Therapeutics Inc. announced positive data from a phase 2 study evaluating TTP273, an oral small molecule GLP-1RA. TTP273 demonstrated a statistically significant reduction in HbA1c with negligible incidence of nausea and vomiting, the most common side-effects of GLP-1RA administration. A trend towards weight loss was also observed. The development of an oral version of semaglutide is even more advanced. This once-daily GLP-1RA is currently going through an extensive phase 3 programme, having demonstrated impressive reductions of both HbA1c (of almost 2.0%) and weight (up to 6.5Kg) in the phase 2 trials. The pre-license CVOT of oral semaglutide, known as PIONEER 6 is due to recruit its first patients in January 2017. So, there is the prospect of oral GLP-1RAs, with superior CV profiles to established anti-diabetes therapies. And these follow-on from the results of the EMPA-REG OUTCOME study which showed CV superiority of oral empagliflozin over placebo, once again using the primary end-point used in LEADER and SUSTAIN 6. Moreover, this sodium-glucose 2 transporter (SGLT2) inhibitor also dramatically reduced heart failure admissions, something not seen with GLP-1RAs. A caveat for all three studies is that only patients at extremely high-risk of CV disease were included and so their generalisablity to all patients with T2DM has yet to be demonstrated. More studies, currently on-going, will help address this question (e.g. the CANVAS study of canagliflozin, due to publish in 2017). The EMPA-REG OUTCOME data has, however, led the FDA to approve a new indication for empagliflozin ‘to reduce the risk of cardiovascular death in adult patients with type 2 diabetes mellitus and cardiovascular disease’. The 2017 American Diabetes Association Guidelines will include a new recommendation ‘to consider the use of empagliflozin in people with type 2 diabetes and established cardiovascular disease to reduce the risk of cardiovascular death’. And other national guidelines, such as those of the Canadian Diabetes Association, have already made changes based on these data. The question remains as to how these developments will be integrated into guidance in the UK. The 2015 NICE update came over six years after its previous iteration and it almost didn’t include any reference to the SGLT inhibitors, despite the first of them being licensed for use in the EU in 2012. The full guideline assessment by NICE is clearly too slow, something acknowledged by the agency when Clinical Guideline 28 was launched, however, the process for early updating has not been disclosed. The therapy landscape is rapidly changing and this issue needs to be addressed. In 2015, Public Health England commissioned four sets of questions on NatCen’s British Social Attitudes (BSA) survey, one of which focused on obesity. The BSA is an authoritative, high quality source of data on views of the British public which has been performed annually since 1983. It uses random probability sampling to yield a representative sample of adults aged 18 years and older who live in private households. The majority of questions are asked by an interviewer face-to-face in the form of a Computer Assisted Personal Interview, while a smaller number are answered by respondents in a self-completion booklet. “Attitudes to obesity” is the publication of the obesity findings from the 2015 survey, presenting new findings on attitudes towards obesity and what might be done to reduce its prevalence. Despite appreciating some of the health risks, people tended not to recognise obesity when present, especially in men. Obesity was typically regarded as a problem for individuals and health care professionals rather than society in general. Furthermore, those who are obese were often stigmatised. The findings are particularly relevant to type 2 diabetes (T2DM) since obesity is widely seen as the driver behind the T2DM ‘epidemic’. Regarding obesity as individual issue, implies that people are personally responsible for their plight and this is then extrapolated to blame following a diagnosis of T2DM. In this environment, the political imperative to allow for new ‘expensive’ treatments to be made available to people with T2DM is low. Indeed, a new definition of ‘expensive’ comes into play, where the individual per-person drug cost is subsumed by the population cost because of the large numbers involved. On this basis, one can argue that people with T2DM are discriminated against, compared with other conditions such as cancer, heart disease and liver disorders. Fortunately, the survey showed significant support for actions aimed at reducing levels of obesity. We need to make sure that our patients with T2DM can also tap into this support. Metformin, a drug which is now universally accepted as the first line pharmacological treatment for Type 2 diabetes does have a recognised list of side effects and cautions. These include gastrointestinal symptoms and guidance regarding renal function. Indeed, NICE advise a dose reduction in patients whose eGFR falls to between 35-40 and to discontinue when eGFR falls below 30 (although there is evidence to suggest that it is safe in patients with lower values). However, there are other less well known issues which are often not recognised. Lactic acidosis, myalgia and taste disturbance are not uncommon. However, despite being recognised in 1969, the impact of Metformin on Vitamin B12 levels is often poorly recognised or ignored. Vitamin B12 is a water-soluble vitamin that plays a very fundamental role in DNA synthesis, optimal haemopoesis and neurological function. As a result, vitamin B12 deficiency presents with features of haematological and neuro-cognitive dysfunction. Decrease in vitamin B12 absorption and levels following Metformin use typically starts as early as the 4th month. Clinically overt features of vitamin B12 deficiency manifest by 5–10 years owing to the large body stores in the liver mainly that are not quickly depleted. The proposed mechanisms to explain Metformin induced vitamin B12 deficiency among patients with T2DM include: alterations in small bowel motility which stimulates bacterial overgrowth and consequential vitamin B12 deficiency, competitive inhibition or inactivation of vitamin B12 absorption and alterations in intrinsic factor (IF) levels. Metformin has also been shown to inhibit the calcium dependent absorption of the vitamin B12-IF complex at the terminal ileum. This inhibitory effect is reversed with calcium supplementation. Recent evidence regarding the impact of Metformin on B12 comes from paper in a recent issue of JCEM. The study reviewed patients previously enrolled in the diabetes prevention programme where the Metformin arm received 850mg bd. After 5 years of the study, low B12 levels affected 4.3% of the Metformin group and 2.3% of the placebo group. Those taking Metformin were more likely to have anaemia, regardless of their B12 status whilst those patients with low B12 were more likely to have a peripheral neuropathy. Given the link between Metformin and B12 deficiency and its clinical impact, patients should have their B12 intermittently measured and replaced if found to be low. What to do about aspirin in type 2 diabetes? NICE guidance (NG28) released on 15th December 2015 changed the advice regarding aspirin use to: ‘Do not offer antiplatelet therapy (aspirin or clopidogrel) for adults with type 2 diabetes without cardiovascular disease.’ This has raised the question as to whether patients already taking aspirin, in line with the previous NICE clinical guideline (CG87), should now stop (although NICE did not specifically recommend this action). The guideline development group for NG28 focused on three studies of antiplatelet therapies, two of which provided new evidence. One was an unpublished post-hoc analysis of cardiovascular (CV) outcomes in the Early Treatment Diabetic Retinopathy Study and the second from a Japanese population, with notoriously low levels of CV events. The doses of aspirin used ranged from 61-650 mg, and the quality of the evidence was rated as between ‘moderate’ and ‘very low’. New, high quality evidence will appear in the near future. NICE acknowledged the UK-based ASCEND trial, which includes 15,480 people with diabetes without occlusive arterial disease, which is scheduled to continue until 2017. NICE also highlighted another trial (ACCEPT-D) conducted in Italy which also aims to assess the effects of low-dose aspirin on major vascular events in people with diabetes and no clinical evidence of vascular disease. For this reason, NICE did not recommend further research in this area. Other guidelines do not support change. The American Diabetes Association ‘Standards of Care’ 2016 continues to recommend consideration ‘of aspirin therapy (75–162 mg/day) as a primary prevention strategy in those with type 1 or type 2 diabetes who are at increased CV risk (10-year risk >10%). This includes most men or women with diabetes aged 50 years who have at least one additional major risk factor’- remarkably similar to CG87. There is also evidence in the literature of a rebound effect from stopping aspirin i.e. an increased risk of ischaemic stroke in patients four weeks after discontinuation. Furthermore, duration of aspirin use is not a risk factor for bleeding, that is to say those patients who are established on aspirin are at low risk of its major side-effect. This balance of risks should make practitioners very wary of change. The age of NHS austerity rumbles on and on with commissioners having to make increasingly difficult choices. Whilst an argument can be made for restricting some services and procedures, reducing the availability of others may be viewed as short sighted. One such example is bariatric surgery, a recent edition of PULSE reporting that some CCGs may be planning to reduce access to it. NICE guidance advises that bariatric surgery should be an option if a patient has a BMI of 40 or more, or between 35 and 40 and other significant disease such as diabetes and high blood pressure, as long as ‘all appropriate non-surgical measures’ have been tried and failed. Bariatric surgery is an umbrella term for three types of procedure commonly used in the UK. The laparoscopic adjustable gastric band is an adjustable silicone band is placed around the upper stomach, creating a small pouch above the band and a narrowing between the pouch and main part of the stomach below. This restricts the amount of food that can be eaten and reduces feelings of hunger by pressing on the surface of the stomach. The Laparoscopic or open Roux-en-Y gastric bypass (GBP) – a small pouch is created from the original stomach which remains attached to the oesophagus at one end, and at the other end is connected to a section of the small intestine, thus bypassing the remaining stomach and the initial loop of small intestine. The procedure can be performed as laparoscopic or open surgery. This anatomical change has an effect on intestinal absorption and as a result, patients are thus at risk of nutritional deficiencies and must take life-long supplements of vitamin B12, iron and calcium, and need to undergo lifelong monitoring and follow-up to avoid these problems. Laparoscopic or open sleeve gastrectomy (SG) – this procedure probably has effects on appetite as well as some degree of restriction of eating. It involves division of the stomach vertically, reducing it in size by about 75%. The pyloric valve at the bottom of the stomach is left intact such that stomach function and digestion are unaltered. Other techniques including a silicon balloon can be used as a temporary measure pending a more definitive procedure. The speed of weight loss depends on the procedure but is usually rapid and it is important that patients receive medical input before (to determine suitability) and after surgery, the latter to avoid longer term complications such as vitamin and mineral deficiency. The benefits of bariatric surgery have been demonstrated in many studies with impacts on diabetes, hypertension, musculoskeletal conditions as well as quality of life. Indeed, data from the national bariatric surgery registry has shown that two thirds of patients with type 2 diabetes at the time of bariatric surgery showed no indication of diabetes two years later and were able to stop their treatment. Cost effectiveness depends on the initial BMI but for patients whose BMI>40, the procedures virtually pay for themselves within 2-3 years. Given the overwhelming evidence regarding the medical and financial benefits of bariatric surgery the proposal that this be restricted seems short sighted at the very least. Resulting from the loss of pancreatic Beta cells, type 1 diabetes has traditionally been considered a diagnosis affecting children and adolescents. However, it is increasingly apparent that it can occur at any age. Indeed, the 2015 NICE guidelines advice is not to discount a diagnosis of type 1 diabetes if an adult presents with a BMI of 25 and above or is aged 50 years or above. Topically, the new prime minister is a good example of such an atypical presentation. There is usually a desire both from the patient and health care professional to determine the type of diabetes at presentation with the increasing use of auto antibodies to aid the diagnosis. Islet Cell Antibodies (ICA, against cytoplasmic proteins in the beta cell), antibodies to Glutamic Acid Decarboxylase (GAD-65), Insulin Auto antibodies (IAA), and IA-2A, to protein tyrosine phosphatase are often measured at diagnosis (GAD and PICA being the most common). Auto antibodies against GAD 65 are found in 80% of newly diagnosed patients with type 1 diabetes at clinical presentation whilst the presence of ICA and IA-2A at diagnosis for type 1 diabetes range from 69-90% and 54-75%, respectively. IAA prevalence correlates inversely with age at onset of diabetes and is usually the first marker in young children at risk for diabetes being found in approximately 70% at time of diagnosis. However, NICE advises routinely against testing for these antibodies apart unless the presentation has unusual features such as age and BMI>25 with the caveat that antibody tests have their lowest false negative rate at the time of diagnosis, and that the false negative rate rises thereafter. Overall, whilst antibody testing has its place, clinical impression and the priority to keep the patient safe from ketosis (which may require early use of insulin) should take priority over an early decision about diabetes sub type which usually becomes obvious with time. A predisposition to diabetic ketoacidosis (DKA) used to be regarded as one of the hallmarks of type 1 diabetes mellitus. There was a presumption that patients with type 2 diabetes (T2DM), although deficient in insulin action, had sufficient background levels of insulin to prevent the formation of ketone bodies. Thus, during periods of extreme hyperglycaemia, they would not develop acidaemia and would manifest as ‘hyperosmolar non-ketotic acidosis’ (abbreviated to ‘HONK’, although this is now referred to as ‘hyperosmolar hyperglycaemic state’). Subsequently, there were several reports of DKA in T2DM patients of African-Caribbean background. These rare cases were thought to represent severe underlying insulin resistance aggravated by reduced insulin secretion due to glucose toxicity (induced by the extreme hyperglycaemia). Following treatment for the acute decompensation, long-term insulin was rarely required. First, there has been a recognition that DKA is a relatively common event in patients designated as having T2DM (predating the SGLT-2 class). Second, there is no doubt that some of the cases have been in patients misclassified as having T2DM, when they were type 1 (or LADA) cases. Forth, when SGLT-2 inhibitors are used appropriately, levels of DKA are very low (for example in the EMPA-REG OUTCOME study of over 7,000 patients there was no difference in DKA rates between patients receiving empagliflozin versus placebo). Type 2 diabetes – more than meets the eye! Given the epidemic of obesity, it is very easy to label every new patient presenting with raised blood glucose as having Type 2 diabetes (T2D). However, even NICE are recognising that other types of diabetes can occur atypically, for example Type 1 diabetes in the middle aged. On top of this, clinicians should be increasingly aware of the possibility that the kneejerk diagnosis of T2DM may be wrong. This is increasingly important given the increasing prevalence in younger patients The presence of a strong family history may indicate a specific subtype of diabetes – MODY (Maturity onset diabetes of the young). Also referred to as monogenic diabetes, the term refers to any of several hereditary forms of diabetes caused by mutations in an autosomal dominant gene. It affects 1-2% of all patients with diabetes and classically presents in patients aged less than 25 years, in families with a multigenerational history of relatively early onset diabetes. Caused by a change in a single gene, 6 genetic subtypes account for 87% cases of MODY in the UK. Diagnosis of a MODY family is of benefit as the natural history of each sub type can determine the long term medication and screening required. Furthermore, family members can be screened in order to predict their longer term risk. The commonest sub type (HNF1A) is responsible for 70% of MODY cases. A gene mutation results in reduced insulin secretion from the pancreas with diabetes usually occurring in their early 20s. Of note, patients with this subtype of diabetes are usually slim and especially sensitive to sulphonylureas which are the drug of choice, although the condition does progress to requiring other agents including insulin. CVD risk is also raised. The other major subtype, Glucokinase influences the ‘glucose sensor’ within the pancreas resulting in reduced insulin secretion for a given blood glucose and mild chronic hyperglycaemia, typically from birth. Complications are rare and as a result, no specific treatment is required apart from during pregnancy (due to the impact of hyperglycaemia on the foetus). Although clinical suspicion needs to be high, early identification is clearly of benefit both for the patient and family members. What chance a comeback for the now generic pioglitazone? Following the good news surrounding the SGLT2 inhibitor, empagliflozin, and the GLP-1 receptor agonist, liraglutide, what chance a comeback for the now generic pioglitazone? Data from the Insulin Resistance Intervention after Stroke (IRIS) trial show that pioglitazone halved the progression to diabetes in people with insulin resistance and cerebrovascular disease. 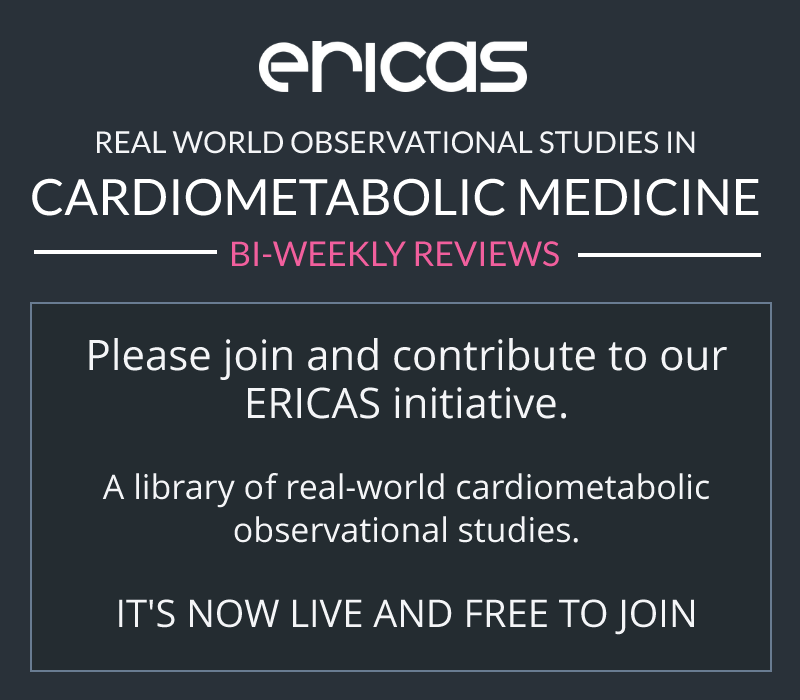 Progression to diabetes was a pre-specified secondary end point of IRIS and occurred in 3.8% of the 1,939 patients randomised to 45 mg/day of pioglitazone compared with 7.7% of 1,937 receiving placebo (P < .0001). This followed on from the main IRIS finding (reported earlier in 2016) that pioglitazone reduced recurrent stroke or myocardial infarction (MI) by 24%. However, this is not the first time that pioglitazone has been shown to reduce the risk of type 2 diabetes. The Actos Now for Prevention of Diabetes (ACT NOW) (2011) demonstrated a 72% reduction in conversion from impaired glucose tolerance to type 2 diabetes. Pioglitazone has also previously showed cardiovascular benefit in the PROactive trial (2005) with a significant 16% reduction in death, MI, and stroke. These benefits have been overshadowed by concerns over side-effects, which include risk of heart failure, bladder cancer and an increased risk of bony fractures; so what did the 5-year long IRIS reveal about safety? In IRIS, there was no increased risk for incident cancer with pioglitazone (6.9% vs 7.7%, P = 0.29) or heart failure (2.6% vs 2.2%, P = 0.35), but bone fractures did occur at a higher rate (5.1% vs 3.2%, P < 0.01). The heart failure result was probably due to exclusion of patients with heart failure at baseline and aggressive protocols for managing patients who developed oedema. Also, in IRIS there was no signal for an increase in hip-fracture which might be reassuring. Perhaps the future of piogitazone lies in post-stroke treatment protocols rather than in diabetes guidelines? How are we to apply the latest dramatic data to patient care? The results of the Liraglutide Effect and Action in Diabetes – Evaluation of Cardiovascular Outcome Results (LEADER) trial show that liraglutide significantly reduces the primary end-point of major adverse cardiovascular events (MACE) by 13%, compared with placebo. This was driven by a significant 22% reduction in cardiovascular (CV) death although point estimates for the other MACE components (non-fatal MI and non-fatal stroke) were reduced. All-cause mortality was also significantly lowered by 15% whilst there was no evidence of any increase in heart failure. These results follow-on from the EMPA-REG OUTCOME study which showed a 14% significant reduction in the MACE primary endpoint for empagliflozin versus placebo. Once again, the result was driven by a reduction in CV death (38%) and there was a 32% significant reduction in all-cause mortality. There were, however, some differences between the study outcomes. The Kaplan-Meier curves parted at an earlier stage in the empagliflozin study and it demonstrated a much larger benefit on the end-point ‘hospitalisation for heart failure’. This would suggest that the mechanisms underlying these findings differ for the two anti-diabetes therapy classes (assuming that these are class effects). Most recently come the renal outcomes from the EMPA-REG OUTCOME study. Despite one quarter of the trial participants having an eGFR less than 60 mL/min (i.e. being outside the current licence for empagliflozin initiation), there was an improvement in all renal outcomes. Empagliflozin significantly reduced the incidence of macroalbuminuria, doubling of serum creatinine with an eGFR ≤45 ml/min/1.73m2 and time to first initiation of continuous renal replacement therapy. So, how are we to take on board these dramatic data and apply them to patient care? The cynics might suggest that we need to know more before guidelines are changed since there are currently no data for type 2 diabetes patients who do not have advanced CV disease (as was the case in both studies). Furthermore, there are no data regarding the impact of combining the two classes of drugs (which could possibly negate both of their beneficial effects). Whilst these are both reasonable points, there seems to be no doubt that patients with advanced CV disease should be on one or other of these drugs and the current NICE guideline does not take this co-morbidity into account. The last revision of the type 2 diabetes guideline from NICE was released over six years after its predecessor, although we are told more timely reviews will happen in the future. Awaiting guidance from the FDA may also be a long-drawn-out process; the recent warning regarding heart failure risk with gliptins was essentially a reanalysis of data first-published in September 2013. A change in licence for empaglflozin was submitted in January 2016 but shows no sign of being granted soon. Perhaps clinicians, supported by medicines management groups, have to examine the current results and consider action whilst the various regulatory agencies negotiate their respective bureaucracies’? Given the epidemiology of diabetes in the UK, a significant number of Muslim patients will be preparing to fast during Ramadan, a lunar-based month with a duration varying between 29 and 30 days. Its timing changes with respect to seasons and in 2016 will require fasting for up to 18-20 hours. If fasting might lead to harmful consequences for the individual, it does not need to be done and patients with diabetes fall under this category because their chronic metabolic disorder may place them at high risk for various complications if the pattern and amount of their meal and fluid intake is markedly altered. The major complications of fasting include hypoglycaemia for which the EPIDIAR study showed a 4.7 and 7.5-fold increase in T1 and T2 diabetes respectively. The study also showed that the size of meals at the start and end of the fast resulted in a significant increase in admissions due to hyperglycaemia. Other potential complications include dehydration and ketoacidosis. Despite these risks, many patients still wish to fast. Increasing numbers of guidelines are available, all of which put patient safety at their centre including education, especially around the risk of hypoglycaemia which should result in ending the fast. For Type 1 diabetes, this is a particular risk if a pre-mixed insulin is used (especially when fasting during the summer months). Basal analogues are associated with lower episodes of hypoglycaemia with results of a study using insulin glargine in 15 relatively well-controlled patients with type 1 diabetes who fasted for 18 h showing that the mean plasma glucose declined from 6.95 to 5.2mmol/l during the fast. Short acting analogues may reduce the risk of post prandial hyperglycaemia, avoiding hypoglycaemia whilst pump therapy has clear benefits. In T2DM, the increasing number of oral and injectable therapies provide flexibility. Clearly patients on diet, Metformin, gliptins or a glitazone are not at risk of hypoglycaemia. However, sulphonylureas, especially those with a longer half life can be problematic although one study in patients with type 2 diabetes who fasted showed that use of repaglinide was associated with less hypoglycaemia compared with glibenclamide. Newer agents such as SGLT2 inhibitors, whilst not causing hypoglycaemia clearly exacerbate the risk of dehydration. In the recently published LIRA-Ramadan study, patients treated with Liraglutide during Ramadan were more likely to achieve an HbA1c <7% with no confirmed hypoglycaemia compared with a sulphonylurea. They also had significantly greater weight loss. In summary, a patient’s decision to fast should be made after discussion and education concerning the risks involved. The management plan must be individualised with the development of new agents increasing allows this. Blood pressure management in type 2 diabetes – uncontroversial? However, the field of blood pressure research is not as stagnant as this might imply. This was reflected by the report from the panel members appointed to the eight joint national committee (JNC8) in 2014, ‘Evidence-based guidelines for the management of high blood pressure in adults’. Recommendation 5 states that ‘in the population aged 18 years or older with diabetes, initiate pharmacologic treatment….and treat to a goal of lower than 140mmHg systolic blood pressure (SBP) and goal DBP lower than 90mmHg’. Note the omission of 130/80mmHg. A systematic review and meta-analysis of the effect of antihypertensive treatment at different blood pressure levels in patients with diabetes mellitus, published in 2016, also promoted relaxation of SBP targets. The authors concluded that ‘If systolic blood pressure is less than 140 mmHg, further treatment is associated with an increased risk of cardiovascular death, with no observed benefit’. So, what is my take on current blood pressure management in type 2 diabetes? I feel that SBP control is important but one size doesn’t fit all. I believe that ACE-inhibitors and Angiotensin receptor blockers have been over-hyped and a focus on renin-angiotensin blockade (and ‘treating microalbuminuria’) without reference to SBP is inappropriate. Patients treated with newer glycaemic agents (GLP-1RAs and SGLT-2 inhibitors), may be able to reduce their antihypertensive therapy. And, for many of my patients, especially the elderly and those with co-morbidities, a SBP between 140-150mmHg is appropriate. Islet Cell transplantation – is it the promised land? The field of organ transplantation has expanded significantly over the last decade but whilst transplantation for complications of diabetes (including renal transplants) are well established, treating the underlying issue in Type 1 diabetes – specifically the loss of pancreatic islets has been a problem. Whole pancreas transplants, usually performed as a combined kidney/ pancreas transplant have been an option for some time. However, it is associated with significant complications on top of rejection; including pancreatitis and issues with the exocrine function of the pancreas especially as only the islets are required. Transplantation of the islets themselves has proven difficult due to issues separating them from the pancreas and the choice of immunosuppressive agent – the use of corticosteroids being a major problem. In 2000 however, the publication of a study of 7 patients who had achieved euglycaemia using a steroid free protocol (of Sirolimus, Tacrolimus and Daclizumab) – the Edmonton regime – has significantly changed the outlook. In order to obtain sufficient islets, up to 2 donor pancreas are required to provide the 1 million islets which are released via purified collagenases. Under local anaesthesia (sometimes with sedation) and using imaging guidance, a catheter is inserted percutaneously into the portal vein and the grafted islet cells infused into the liver. More than one infusion may be required following which lifelong immunosuppression is required. Whilst the concept of islet transplantation may seem a panacea to patients, the shortage of donors and need for long term immunosuppression are major blocks, hence guidance from NICE regarding suitability (essentially those patients who are difficult to control often due to severe hypos despite education, pumps therapy etc.). Furthermore, an islet transplant does not automatically result in freedom from insulin. A variety of studies, usually registry or case series, have shown that insulin independence is achieved in 24-85% of patients up to 2 years following transplant. More importantly however, the incidence of severe hypoglycaemia was significantly reduced (a registry study showed a reduction in severe hypos from 82% to 4.5%) – a major improvement in quality of life. In the UK, there are 7 centres performing these transplants with referral criteria being >2 severe hypos in the last year and impaired awareness of hypoglycaemia as well as patients who have already received a renal transplant experiencing issues with hypoglycaemia. Although the rapid development and increasing sophistication of glucose sensing and insulin delivery devices the ultimate goal of a closed loop system may eventually reduce the need for transplants, they still have a place for a small number of patients. SGLT2 inhibitors have been rapidly taken up due to their ideal properties of lowering blood glucose with accompanying weight loss, a positive impact on blood pressure and the fact that they do not cause hypoglycaemia. In fact, despite only being launched in 2012, they have been justified as a second line agent by NICE. However, not long after launch, anecdotal evidence emerged regarding the potential association of diabetic ketoacidosis (in particular euglycaemic ketoacidosis) with the drugs – possibly as a result of reducing insulin doses or elevated glucagon levels. Whilst being licensed for treatment in Type 2 Diabetes, their insulin independent mode of action has resulted in them being used in some patients with Type 1 Diabetes. By May 2015, the fact that approximately 100 cases had been reported, lead to a review by the European Medicines Agency (EMA). As a result of these cases, the EMA has recommended updating the product information of SGLT2 inhibitors to list diabetic ketoacidosis as a rare adverse reaction (affecting up to 1 in 1,000 patients). Furthermore, it is advised that patients are counselled about the symptoms of DKA. There is a firming up of the licence regarding their specific use in T2DM only. However, it is increasingly recognised that patient do not always obligingly fit nicely into a diagnosis of T1 or T2, with some patients having a slow onset of T1 – now recognised in the NICE T1DM guidance. Advice is given regarding these and other patients who have risk factors for ketoacidosis. These include low insulin producing capacity in the pancreas and increased insulin requirement such as due to illness or alcohol abuse as well as conditions linked with reduced food intake or dehydration. In addition, EMA recommends temporarily stopping SGLT2 inhibitors in patients who are undergoing major surgery or are in hospital due to serious illness. Whilst the benefit of SGLT2 inhibitors outweighs the risks, this guidance is a cautionary tale. Following their rapid uptake, it has not been the first time that a new class of diabetes drug has received caution following launch. Social media and diabetes – so who says is there anybody or anything there? On 19th January 2016, NHS England published a news item entitled ‘Social media and Skype keep young people with diabetes attending’. It went on to highlight that “Advice on using social media, texts and skype to keep young people engaged in treatment for their diabetes has been published as part of wider information to help commissioners improve care transition.” The document to which the article referred was the ‘Diabetes Transition Service Specification’ prepared by the Quality Strategy Team, Medical Directorate, NHS England. This is a blueprint which commissioners are encouraged to use when stipulating services for young people with diabetes going through the transition from paediatric to adult services. So, what is the evidence base for this embracing of modern technology? The Transition Service Specification document does have references but none relate to social media nor Skype. The news item, with quotes from NHS England’s National Clinical Directors for children and young people and obesity and diabetes cites the Newham DAWN scheme, another NHS news release. Research staff working on the DAWN project provide positive quotes for a service development funded by a £75,000 Health Foundation award but no peer-reviewed reference. A PubMed search for the clinical lead at Newham links to a BMJ Open1 article on virtual online consultations but this is a description of an on-going project. So, no evidence? This seems to reflect a common practice within the NHS; pilot projects, with extra funding, are trialed but then adopted as mainstream practice before any results have been published. But is it a ‘given’ that new technologies are certain to provide benefit (and wouldn’t any transition service improve with a cash injection of £75K)? The answer to the first question was thrown into doubt on the same day of the NHS news release. The six-month long ‘Scripps Wired for Health study’2, published in a peer-reviewed on-line journal, showed no clinical or economic benefit from digital health monitoring. Scripps recruited 160 patients with hypertension, diabetes, or arrhythmia and randomised them into an intervention group and a control group. Members of the intervention group were issued an iPhone 4 and a connected device – how could it fail to show benefit, and yet it did…. This is a plea, not for nihilism regarding modern developments in medicine, but for proper peer-reviewed assessment of any technology before national institutions recommend widespread adoption. NICE mandates this level of evidence; why should standards be lower in other areas of practice? The United Kingdom now has its first biosimilar insulin, following the 2015 launch of Abasaglar, a version of U100 insulin glargine made by Eli Lilly. 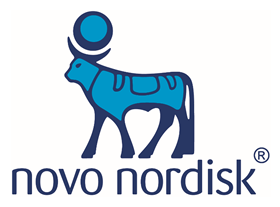 The same insulin, but branded Basaglar, has also been approved by the Food and Drugs Administration (FDA) in the United States, this following on from their first biosimilar approval – Zarxio (filgrastim) – in March 2015. The term ‘biosimilar’ is preferred to ‘generic’ because the complexity of insulin production techniques mean that small differences from the already-approved reference product cannot be excluded. The biosimilar must show it has no clinically meaningful differences in terms of safety and effectiveness from the reference agent and only minor differences in clinically inactive components are allowable in biosimilar products. These events are in contrast to the decision made in November 2015 by the Committee for Medicinal Products for Human Use (CHMP) to recommend refusal for marketing authorisation of Solumarv. Solumarv is another biosimilar insulin, this time a short-acting one, made by Marvel Lifesciences Limited and the reference product is Humulin S.
The different responses probably indicate that the regulatory authorities take into account more issues other than just the clinical studies. For example, the CHMP commented that Marvel ‘did not define the manufacturing process for Solumarv in sufficient detail. As such, it was not possible to show that Solumarv used in clinical studies was representative of batches intended for the market and that its quality was comparable to Humulin S’s’. There are also concerns about companies’ ability to maintain supplies of their biosimilar product; since the biosimilars are inevitably cheaper than reference insulins, widespread switching is possible and any supply issues could have major consequences. In this respect Eli Lilly’s heritage in diabetes is important – they were the first company to commercially produce insulin in 1921 and have done so ever since. Perhaps these considerations should also apply to generic molecules, where pharmacy-led switching is now commonplace? A case in point is that of pioglitazone (Actos, produced by Takeda) which went off-patent in 2012. Immediately, generic versions became available at a large price discount and NICE in the first draft of its type 2 diabetes guideline update moved pioglitazone into the preferred second-line option following metformin. Then in December 2015, United Kingdom Medicines Information (UKMi) issued a memo on ‘shortage of supply’ for all strengths of pioglitazone. Limitation of prescribing to 28 days was suggested as an option to reduce the risk of stocks running out (odd, given that almost all patients renew their prescribed medications on a monthly basis) with medication review recommended for those patients who cannot obtain supplies. What was not mentioned was that the shortage was down to supply-chain issues in the generic companies, with Takeda being able to make up the short-fall (which would probably not have happened if patients had remained on or been initiated with the branded reference product). I suspect the costs of this episode will never be calculated and there will be little account taken of the concerns and inconvenience suffered by patients. Type 2 diabetes mellitus into primary care – a ‘no-brainer’? The project to move the management of patients with type 2 diabetes (T2DM) from secondary care specialists to primary care began in the 1970’s but gained major momentum over the last ten years. It is a central pillar of health policy in the UK but on what evidence is this based? Most NHS initiatives are based on cost reduction but is this a cheaper option? As a secondary care specialist, my costs for outpatient review are modest; an office, computer, sphygmomanometer, monofilament and support staff. I presume that these are no different to primary care but that the attributed costs are higher due to a costing formula? Furthermore, if my practice is physically moved into primary care, then the numbers of patients reviewed will decrease since the SpR training grades are not be in attendance. Finally, my availability to supervise on-call and in-patient general medicine patients is reduced, needing more resource expenditure in those areas. Has the increase in primary care management of T2DM led to improvements in outcomes? It seems not, in terms of the surrogate marker of HbA1c, which remains stubbornly unchanged. Furthermore, ‘treatment inertia’ indicating slow escalation of pharmacotherapy including oral medication and insulin is reported to be worse in the UK than in most developed economies. This is not a criticism of general practitioner colleagues. There are currently eight different classes of anti-diabetic medications available in the UK with over thirty commonly used insulin preparations, three of which have been licenced for use in the last twelve months. 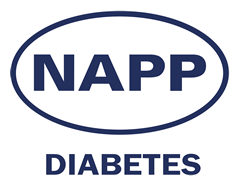 As a specialist who focusses on diabetes, I struggle to keep up-to-date; why would anyone expect a generalist practitioner and supporting practice nurse to have this specialist knowledge? The major push for a primary care takeover of T2DM is the massive numbers of people with the condition. Surely this has to be the focus? We need measures to reverse the epidemic and clever means (involving information technology) to allow specialist management of people with this complex disease.